Although a lot has been written on the rabbit, much is anecdotal and aimed at the pet owner rather than the veterinarian. 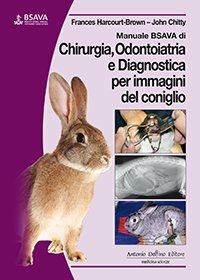 "Textbook of Rabbit Medicine" however, has been specifically written for the veterinary practitioner, using evidence-based material and providing a comprehensive guide to the diagnosis and treatment of conditions affecting pet rabbits. Basic husbandry, behaviour and nutrition are explained within the concept of health and disease. Essential information on biology and physiology is also provided. Unique illustrations based on original dissections offer an additional insight into this complex animal. Frances Harcourt-Brown is a veterinary surgeon with a specific interest in rabbits. She is widely recognised as an expert and has been acclaimed for her research - receiving several awards, including the BSAVAs Melton award for meritorious contribution to small animal practice for her work on dental disease in pet rabbits. 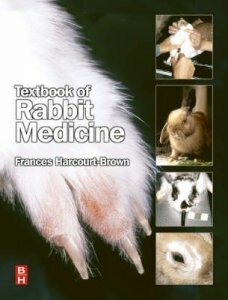 "Textbook of Rabbit Medicine" says all there is to say about the pet rabbit: it is an essential purchase for every veterinary practitioner. This title includes illustrations by Nigel Harcourt-Brown.